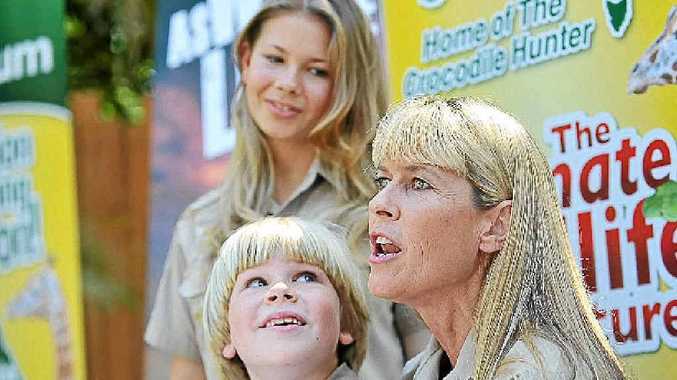 AS THEY celebrated a day in his honour yesterday, Australia Zoo matriarch Terri Irwin reflected on how the time without her croc-hunter husband Steve sometimes felt "like a moment and sometimes like an eternity". 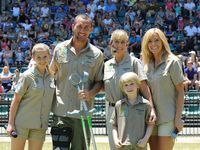 Bindi and Robert joined their mum and a trio of celebrities at the Beerwah zoo to cheer the spirit of the beloved Aussie hero. 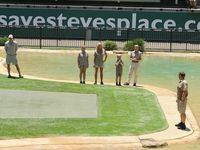 Surf muso Xavier Rudd, US reality television star Kate Gosselin and hobbling World Cup Wallaby Quade Cooper all lined up to put their handprints into wet concrete as a tribute to the zoo. 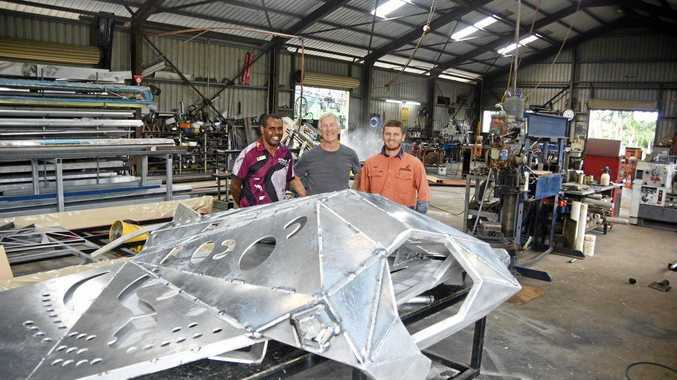 They all said they were honoured to be called on to contribute to the legacy of Steve Irwin. Mr Rudd talked about feeling the spirit of the great man as he toured the Australia Zoo Wildlife Hospital on Monday. Terri said it was a "special day" for the family, and also for the children who are inspired by his legacy. "Now we have 12 countries involved in Steve Irwin Day. We have kids in LA doing bake sales. 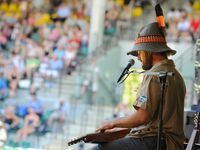 We have friends in Manhattan doing backyard camp-outs in their apartments," she said. Terri spoke briefly about how she feels as time marches on since Steve's life was lost on his quest to protect wildlife. "Well, I think for me, any time you're dealing with a situation of grief, it's a surreal timewarp where in some ways you feel like he should be walking through the door tomorrow - in other ways it feels like an eternity since Steve's been here," Terri said. Terri also joined Cr Anna Grosskreutz to announce a $500,000 pathway linking the tourist park to nearby Beerwah and Landsborough. It is due to be built by the end of 2012, when tourists who arrive by bus, train or car will be able to take a cruisy ride to the adjoining townships. Cr Grosskreutz, who will not contest the next council election and intends to move to NSW, said the pathway was something she wanted for the area. "I'll have to come back and visit it," she said. Terri said zoo staff who live in the area would be able to don the khaki and ride, skateboard or walk to work. She said the pathway would be marketed internationally to bike groups. 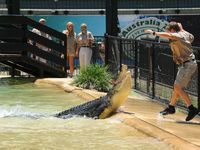 "It's not about coming to Australia Zoo, it's about coming to Australia and exploring."